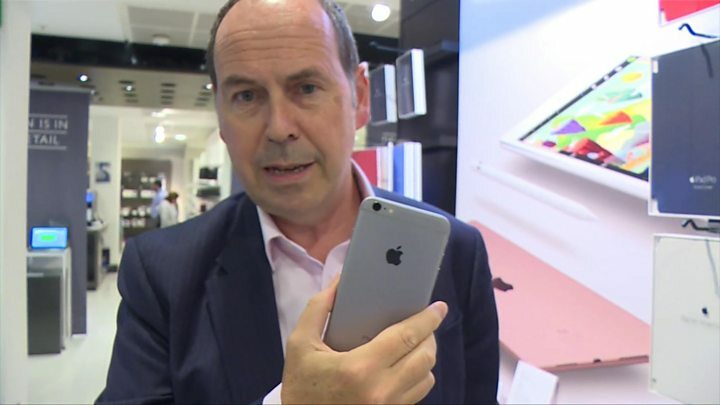 Smartphone launches are normally all about finding out about added features. But in the case of the iPhone 7, what everyone wanted to know was how Apple would justify its widely leaked decision to remove support for normal headphone jacks. At the San Francisco event, marketing chief Phil Schiller suggested his firm had been motivated by "courage". But it seems that was an invitation to the net's many cynics and critics to weigh in. Below are some of the comments posted about the firm ditching the 3.5mm socket and promoting its new Airpod earbuds. Removing the headphone jack from the iPhone is not an act of courage, it's an act of leverage... They're in a position of immense power and they're using that power to eliminate something good and replace it with something that makes them money. It's not a conspiracy theory, it's a business plan. The beauty of the headphone cable is just like the beauty of a tampon string: it is there to help you keep track of a very important item, and help you fish it out of whatever nook and cranny it might have fallen into. Apple's apparent blindness to this blindingly obvious problem is perplexing. Apple's rationale for this change- that we want too much jammed into our tiny phones - fell flat to me. It's an annoyance, but one I think we'll get used to soon enough. Do you want your iPhone's home button to vibrate sometimes, or do you want to be able to plug in pretty much any set of headphones ever made in the entire world? The old Apple mantra, "it just works," is officially dead this week. 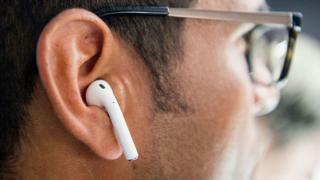 If Apple's Earpods never really fit snugly in your ears, well, you'd probably do well to stay away [from the Airpods]. I've personally never had a problem with their fit, so they nestled nicely into my ears and stayed there even as I wagged my head around like a huge dork. These things just scream out to be instantly lost. If you're not the type to hold onto things (I'm certainly not), you're going to want to stick with wired headphones or wireless cans. [But] they seem like classic Apple design - simple, and well-integrated into the iPhone experience. The Airpods are even more of a design success than the iPhone. Airpods are minimalism materialised: Each earbud is a glossy monolith. And they'll be able to fully control Siri, a step up from the Apple Watch... users won't even have to raise their wrists. It's hard to swallow Apple's use of the word "courage" to describe the corporate ethos that pushed the company to remove the headphone plug... Courage is more often found in, say, running into a burning school to rescue the students and class rodent. Or, maybe, you could call courageous the act of paying the many billions you owe around the world.